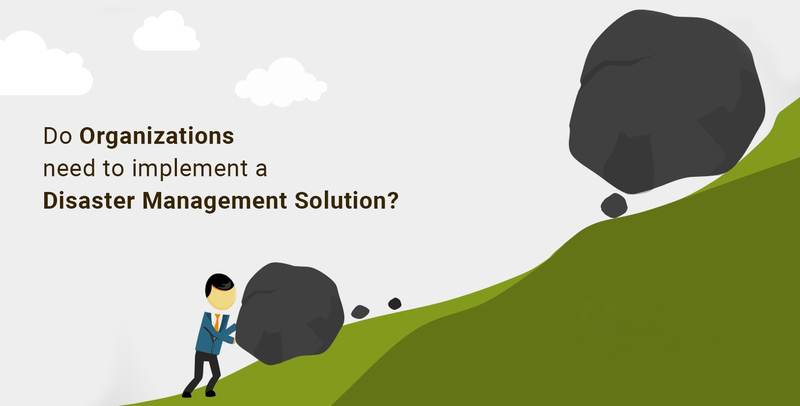 Do organizations need to implement a disaster management solution? Do organizations need to implement a disaster management solution? 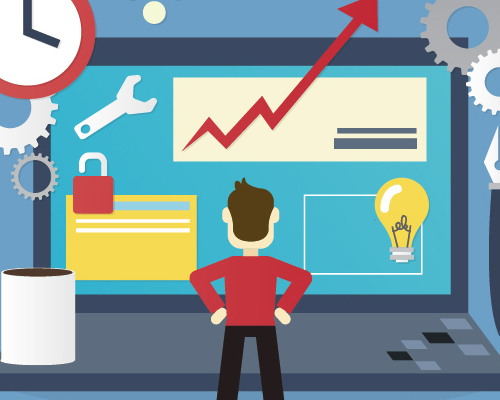 Do organizations need to implement a disaster management solution? Organizations often face with risks due to unexpected issues and challenges. When competition is all around the corner, organizations cannot afford to lose out on business at any cost. Risks are a part of the business journey and need to be controlled in time to save organizations falling flat on their face due to any disaster. To keep falling apart and avoid setbacks that can lead to any disaster, organizations are on a constant lookout for disaster management solutions that ensures smooth business operations. Organizations have multiple projects on their platter with diverse requirements. It is natural for projects to have risk factors in the way. How organizations work about finding solutions to recover from risks that may ruin projects – is a trick needed to be mastered to become successful and keep growing stronger. What are the vulnerabilities of the project and how to address them? Business organizations deploy a disaster management plan to optimize the time before the onset of a project or even during the execution of tasks needed to complete a project successfully. They evaluate the prospects of the project, the tasks that need to be executed for effective functionality, set the task priorities, anticipating the challenges that may act as a risk factor and ways to control them in order to avoid any disaster. However, when creating a disaster management plan, it is important to evaluate and be aware of the various factors that can lead to risks in projects. Prior planning helps you to anticipate expected risks and be prepared for the unexpected ones. The importance of recording all necessary information before the start and during the project helps in times of any disaster that may occur during the lifecycle of the project. Therefore, organizations must rank the importance of every available data set and prioritize accordingly. Is the disaster management plan shared with the team? While preparing the disaster management plan the team has to be taken into confidence. In cases of risks faced by the team that is working upon the project and the different tasks of the same, the project manager can take leadership roles during the catastrophe. A systematic planning can not only anticipate the risks a project may face but also save the day when a setback happens in real-time. Are disaster management plans tried and tested? Irrespective of how detailed your disaster management plan appears or how many times it has been discussed with the team, it will hold no value if not capable of executing it efficiently at the time of a real-time setback. 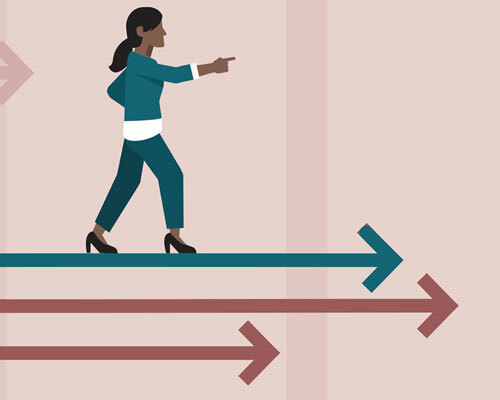 Project managers must control and manage team activities for each project stage and guide the team in times when they face real-time risks that acts as a hurdle for the project progress. Such an exercise also enables the team to analyze if the results of the plan were according to initial plan and make improvements wherever necessary. Simultaneously the team can evaluate all possible back-up strategies and implement the workable solutions during any setback. Should the crisis be communicated with the team? While users can anticipate risks prior to the project start, things take a different turn when a real-time risk factor disrupts the project progress. Definitely, there should be room for discussing problem solving solutions, also giving space for team members to remain confident and motivated during times of crisis. 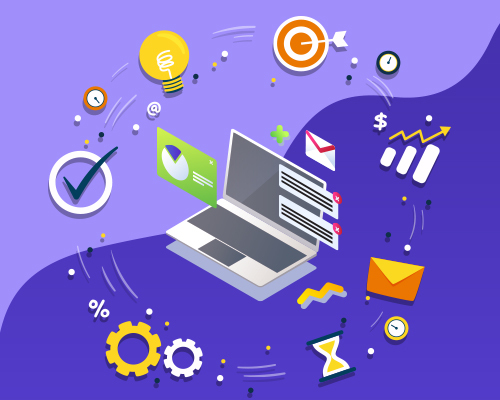 In such situations, organizations using project management tools must have a plan to communicate with all team members who are working on the project. Transparency enables project managers to identify any existing potential weakness and gain a better understanding of team strengths and weakness. This ultimately helps identify ways to strengthen any short comings that may cause disasters in projects in days to come. Open communication is always the key solution to face challenging situations. Risks that can lead to disasters can be controlled and solved with transparency within the team. Do disaster management solutions win the trust of clients? An open-access approach, low-cost deployment, and easy adaptability of a disaster management system can play an important role in winning the trust of clients. When clients know that organizations have a workable disaster recovery plan in hand, it enables stakeholders to feel more confident about their relationship with the organization. Implementing effective disaster management solutions entails a detailed analysis of your existing setup, including identification of skilled individuals and infrastructure. This ensures the clients of the organizational capabilities and helps in building trust and long lasting relationships. Every organization must be prepared for facing critical situations and work upon back-up solutions and respond better to unforeseen circumstances. 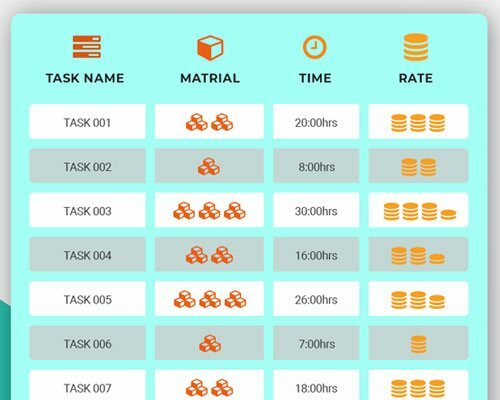 How Task2Bill helps to maintain rate charts?